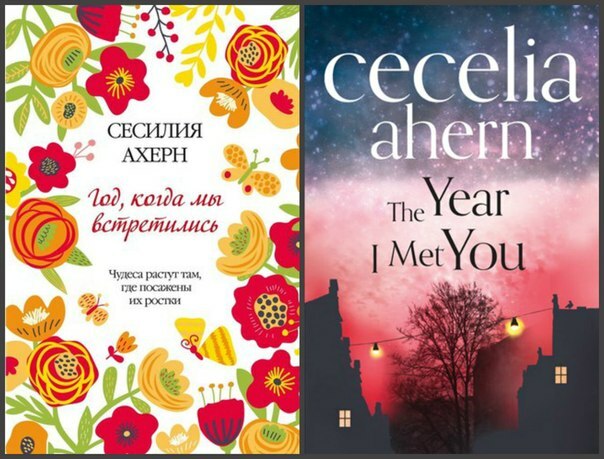 Just read books: Book: "The Year I Met You", author: Cecelia Ahern. Книга: "Год когда мы встретились", автор: Сесилия Ахерн. Book: "The Year I Met You", author: Cecelia Ahern. Книга: "Год когда мы встретились", автор: Сесилия Ахерн. Jasmine - a successful woman. Career, home, well-established way of life. But, in one terrible day, it fired with the provision of annual leave so that she gave all the secrets to competitors. What do workaholic on vacation? Certainly plant garden, to arrange private life and to monitor the neighbors! Quite prosaic work of one of those "not good, not bad." But its simplicity addictive, I want to get to know the characters, their characters, their destinies and to predict their future actions. Interestingly constructed narrative is a monologue of appeal of the protagonist to the invisible interlocutor, which is another main character. Even more like a long letter. Normal novel for women who have already written a lot, but it is a little more modernized. Description of the lives of ordinary people are not filled completely commonplace events. The style is light, readable and enjoyable. I think this is what captivates readers. In general, Cecilia Ahern intrigued. It is interesting to find out what it can do. Coming soon: Veronika Decides to Die, Paulo Coelho. Джесмин – успешная девушка. Карьера, дом, четко отлаженный образ жизни. Но, в один ужасный день ее увольняют с предоставлением годового отпуска дабы она не передала все секреты конкурентам. Чем же заняться трудоголику в отпуске? Конечно разводить сад, устраивать личную жизнь и следить за соседями! Скоро: Вероника решает умереть, Пауло Коэльо. Давно хотела прочитать эту книгу! Спасибо за отзыв!